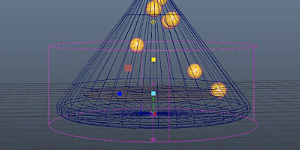 SM Forums / Lounges / Maya Basics & Newbie Lounge / If you get good in maya, Where do you work? If you get good in maya, Where do you work? every big boys use MAYA!!!!!!! The board has given me the title senior member, but I'd really prefer "senior newbie member" . I'll write something here, because I feel like taking a break from the modeling. Making plastic-models of airplanes has always been a hobby of mine, but I never got to go pro with painting and airbrushing, now that's something to fiddle about at the age of 70. I'm not going to listen to geriatric music and such, that I am sure of. I study architecture, although I'm having a looong break from my studies. I love to model with cardboard and such at school. After toying with maya for half a year now, I'm now familliar with many of the modeling functions. But that does not include subdivision tools and animation tools. I still have, pretty much, no clue to texturing or animation. But I'm getting a hang on nurbs modeling. I started to use maya in the hope of making cool rendering of my architecture-projects at shool. I , I, I... I have also tried FormZ and ArchiCad, but Maya is far more pleasurable to model with, imho. So the projects of mine here at simplymaya is just for fun. My drawback is that I'm not that fond of simply playing around with modeling. Only a fascinating project gives me the "go go" for making something. I wish I had a virtual maya teatcher, kinda like that medic-guy in star trek voyager. I will always be a mediocre model-artist, but Im happy with it!!! But at least I can fiddle with details and such. Fiddle with details long enough and it will start to look "good". I do not support Bush! Nor Saddam! Long live UN! Maya played a role in three of the 2002 Academy Award winning films: Lord of the Rings: The Fellowship of the Ring, Shrekand For The Birds. Maya was used to create over half of the top twenty best-selling holiday PlaysStation® 2 titles in December 2001. Alias|Wavefront software has been used in almost every film nominated by the Academy of Motion Pictures Arts and Sciences in the category best visual effectsfor the past five years. my question is yes people work for the "big boys" but how would you get a job there send them a cd of your stuff ? Now this is the question!! Just ask people like mikey how hard this is! Its kinda like every guy who gets the oportunity...there is a massive amount of luck involved, kinda like if you send in demo tunes to a record company! they receive a massive amount every day so most go in the bin. My advice to you is to try and find a name...any name in any 3d company... dont set your sights to high at first..go for a smaller company where you stand a chance..
Don't forget computer games. Lucasarts is one of the main companies that uses Maya, and Maya is used for most of the XBOX games. Most of the "big boys" want people who've been working already for 3 or 4+ years or have 1 or 2 published game titles or completed films. So, it can be difficult. I've been consistently looking for stable work for over a year now. I've managed to get the occasional contract work, but haven't had much luck at a studio position. And while I wouldn't necessarily call myself the best, I'm definitely not bad.